In stock. Order in the next 14 hours, 5 minutes and it will go out today! 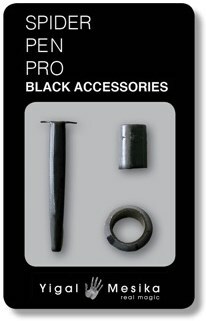 If you would like the Spider Pen Pro clip to be less noticeable in your pocket, then this kit is for you. It contains three custom parts which easily swap into your Spider Pen Pro. Also included is a bonus Spider Pen Pro spool cap.